Location: 5 km/3 Miles S of the City center. By Taxi: To the city centre 15 mins. Airport Tel No: +1 (734) 994 2841. Location: 4 km/2 Miles SW of Escanaba. By Bus: The DATA bus is reported to call at the airport, but this cannot be confirmed. On-Airport Rental Car Providers: Budget (906) 789 6143 & National (906) 786 060. Airport Tel No: +1 (906) 786 4902. Location: 7 km/4 Miles SW of the city center. Other Companies: International Cab (810) 691-6396, Hey! Taxi 629-7080 & JCN Limousine 229-2659. By Bus: A door-to door shuttle bus operates from the airport. On-Airport Rental Car Providers: ALAMO/National (810) 239 4341, AVIS 234 7847, Budget 238 8300 & HERTZ 234 2041. Car Parking: Short Term: 30 mins $0.75, $10 per day & $70 per week. Long Term: 1 hour $1, $5.50 per day & $38.50 per week. Economy: 1 hour $1, $4.25 per day & $25 per week. Notes: ATM in the airport. Airport Tel No: +1 810 235 6560. Location: 15 km/9 Miles SE of the city centre near Kentwood. By Taxi: To the city center ~$35. Metro Cab (616) 827 6500. Rapid Bus Route #17 to Woodland Mall: The RAPID Bus stops at the airport bus stop Mon-Fri only, and runs to the Woodlawn Mall at regular intervals. Route: Airport Terminal - 44th St SE - Broadmoor Ave SE - East Paris Ave - 29th St SE - Radcliff Ave SE - Woodland Mall. Note: Passengers travelling to downtown Grand Rapids should change to Bus #6 at Woodland Mall. Timings: Buses leave the airport Terminal Mon-Fri only every hour 0637-1837, 1850, 2010, 2110 & 2210. Buses leave Woodland Mall Mon-Fri only every hour 0618-1818, 1831, 1951, 2051 & 2151. Travel Time: To Woodland Mall 15 mins. Cost: $1.50 adult one way. Pay cash on board. Contact: Tel (616) 776-1100 or see www.ridetherapid.org. Hotel Buses: Many local hotels provide transfers for guests. 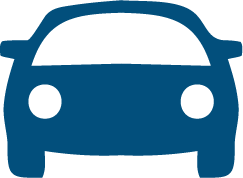 On-Airport Rental Car Providers: ALAMO/National, AVIS, Budge, Enterprise & HERTZ. Car Parking: Valet Parking: $18 per day & $12 for 5 hours or less. Short Term: 1 hour $2, $1 each extra 30 mins. Daily max $24. Long Term Parking: Parking Garage $2 per hour, daily max $12, weekly max $72. North Lot $2 per hour, daily max $10, weekly max $60. Economy Lot $2 per hour, daily max $9, weekly max $54. Airport Tel No: +1 (616) 233 6000. Location: 8 km/5 Miles NE of Houghton & 4 km/2 Miles W of Hubbel. On-Airport Rental Car Providers: AVIS (906) 483-2424 & National 482-6655. Car Parking: $4 per day in front of the terminal. Airport Tel No: +1 (906) 482 3970. Location: 31 km/19 Miles WSW of Battle Creek & 7 km/4 Miles SSE of Kalamazoo city center. By Taxi: Executive Car Service (269) 342 5800. By Bus: The Metro Transit bus calls at the airport bus stops hourly 0700-2200 Mon-Sat. No service on Sunday or major holidays. For info call (269) 337-8222. Some local hotels provide transfer buses for guests. On-Airport Rental Car Providers: ALAMO/National, AVIS, Budget, Enterprise & HERTZ. Car Parking: Short term: $0.75 per 30 mins, daily max $10. Long term $1 per hour, daily max $5.50 weekly max $27.50. Airport Tel No: +1 (269) 388 3668. Location: 6 km/4 Miles NW of the City. By Taxi: Big Daddy Taxi (517) 367 7474, Capitol Transport 482 1444 & Country Club Taxi Service 888 655 8180. By Bus: Capital Area Transit Authority (CATA), runs a bus service to the Airport every day with buses #14 & #12A. Cost $1 for adults and 25 cents for students & seniors. For info call 517 394 1000 Mon–Fri 0700-1900 & weekends 0900-1700 or www.cata.org. On-Airport Rental Car Providers: AVIS, HERTZ, National & Budget. Airport Tel No: (517) 321 6121. Location: 22 km/14 Miles S of Marquette. By Bus: Marq-Tran (906) 225-1112 runs shuttle buses between the airport, Marquette city (bus terminal or hotels) and Gwinn High School. Buses leave the airport at 0545, 0700 then every hour until 1600 on Saturday or 1800 Mon-Fri. No Sunday Service. Cost $1.20. On-Airport Rental Car Providers: ALAMO/National (906) 346 6378, AVIS 346 6398, Budget 346 6480 & Thrifty 346 4355. Car Parking: Short term: free, Long Term: $4 per day. Location: 7 km/4 Miles S of Muskegon. By Taxi & Limo: Tour de France Limousine , Contact: Tel (231) 733-0400. By Shuttle Van: Gold Shield Shuttle Service (231) 739 4600 runs a door to door service in Greater Muskegon, Grand Haven, Spring Lake, Holland, Fruitport, Grand Rapids and others. On-Airport Rental Car Providers: AVIS (231) 798 4877, HERTZ 798 2370 & ALAMO/National 798 4758. Car Parking: Short Term: First 10 mins free, 1 hour $1, daily max $10. Long Term: First 10 mins free, 1 hour $1, daily max $4, weekly max $28. Airport Tel No: +1 (231) 798-4596. Location: 11 km/7 Miles WNW of Pontiac, 48 km/30 Miles NW of Detroit city center & 45 km/28 Miles SSE of Flint. Airport Tel No: +1 (248) 666-3900. Location: 16 km/10 Miles NW of Saginaw. Other Companies: Airport Taxi (989) 695 6513 & Atlas Limo Service 1-(877) 535 2449. On-Airport Rental Car Providers: AVIS (231) 946 1222, Budget 947 3883, Enterprise 922 2800, HERTZ 946 7051 & National 947 1560. Car parking: Short Term $0.75 per 30 mins, daily max $7. Long-Term: $1 per hour, daily max $5, weekly max $30.